View More In Bugs & Spiders. "One hundred shoes, please!" said the little centipede. "Fifty left ones, and fifty right ones." "Why do you want one hundred?" asked the shoe seller. "Because I'm a centipede, which means a hundred feet," said the little centipede. But when are one hundred shoes too many shoes? And what do you do with too many shoes? Why, you give them away! 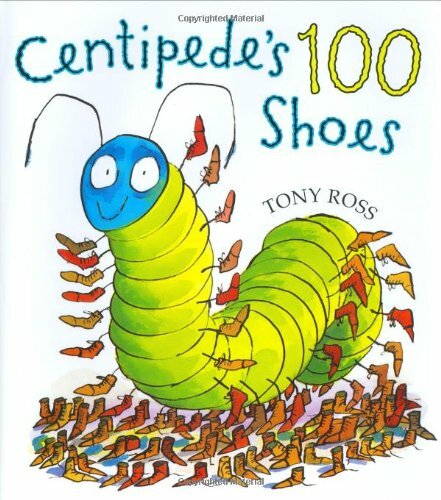 Find out who gets them in this delightfully silly story about a centipede with sore feet.